By reading. And reading. And reading some more. 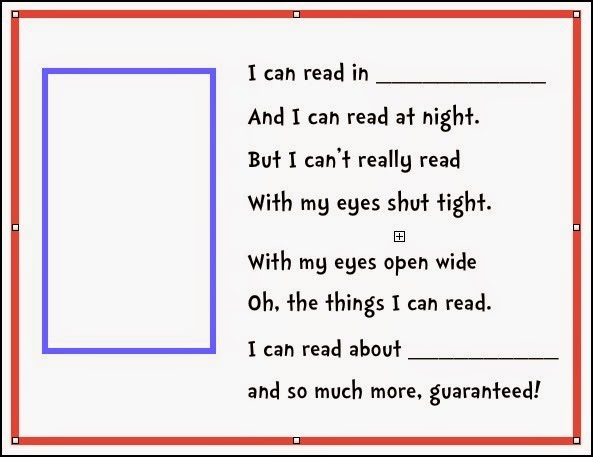 This year we are adding I Can Read with My Eyes Shut to our usual Dr Suess read alouds. It "stars" the Cat in the Hat - but instead of causing havoc while Mother is out - he is advocating reading. Which is much better with eyes open wide! 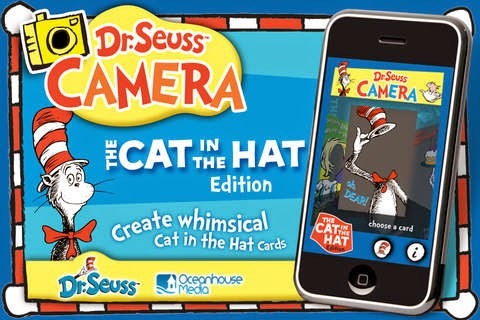 Dr Seuss' birthday is an excuse (not that we really need one), to play with the Dr Seuss Camera app. At $1.99, it's money well spent. 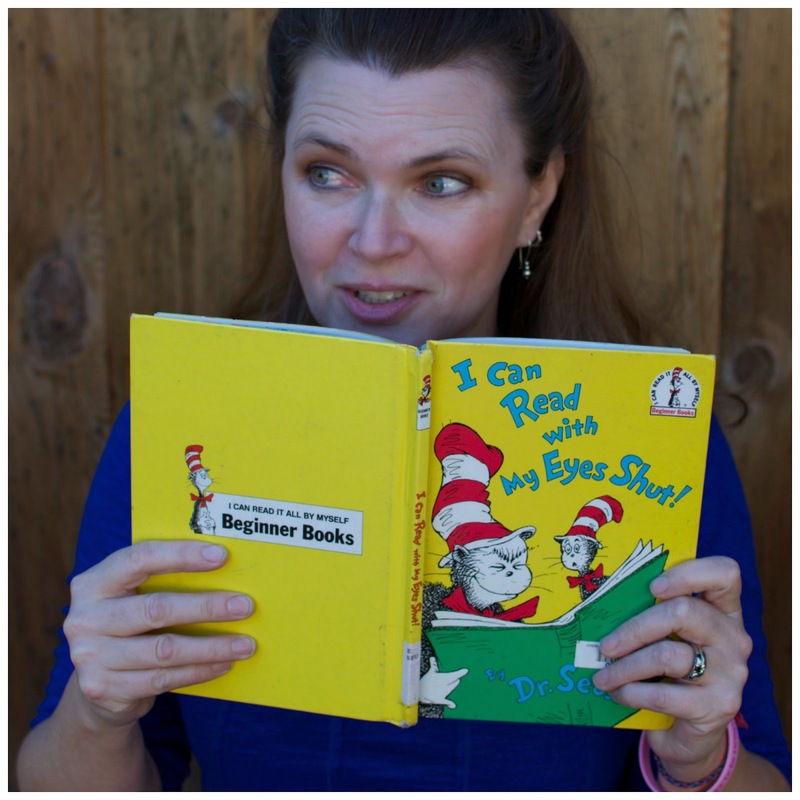 For this project, about reading, I chose the picture of the Cat in the Hat reading a book. It seemed logical. 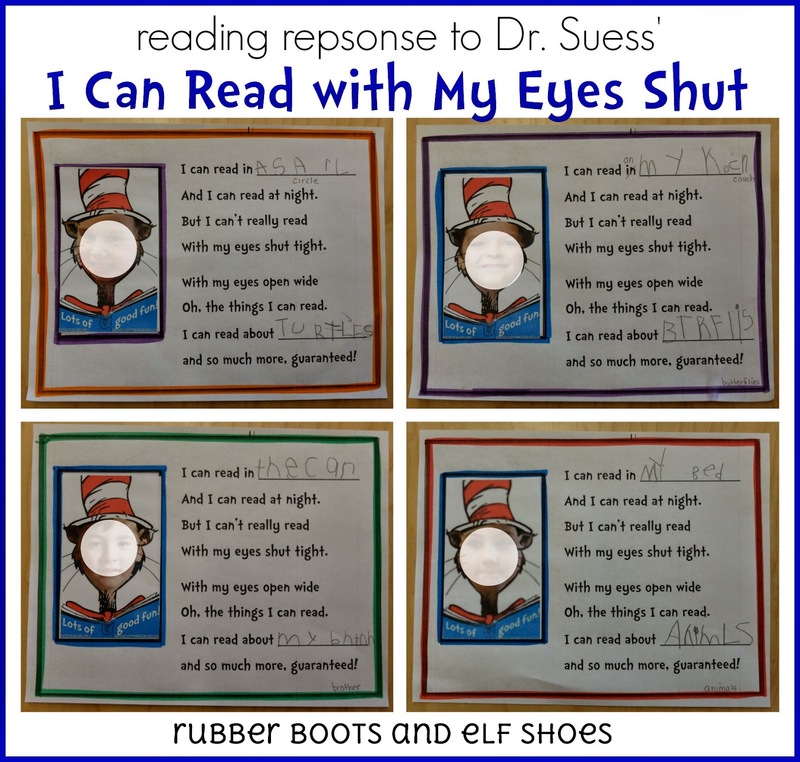 How best to display and share our Seuss-ian grandeur (and reading prowess) -- a class book. Click on the graphic to download a free copy of our book page. The kids got to work - writing about their reading. I loved reading their ideas about where they would read - and finding out what they want to read about. I learned that kindergarten needs some Ninja Turtle books! Click on over to The Pleasantest Thing, for links to more Seussian fun.